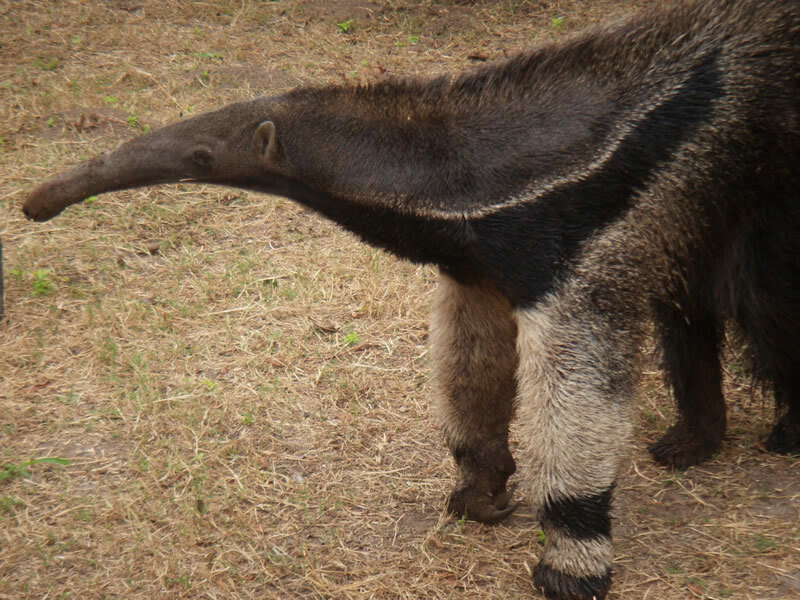 The Giant Anteater, as its name suggests, is the largest of the 4 species of anteaters and can weigh up to 23 kg (50 lb) and can measure up to 240 cm in overall length. All anteaters are insectivorous and Giant Anteaters have a long tube-shaped nose, with a tiny mouth and a long, sticky tongue. They use their strong front claws to open termite hills and also for defence; when walking their claws are tucked under and they walk on their knuckles. They live in forests and open plains and are active by day and night depending on weather conditions. Male and females are alike in appearance; females give birth to a single young which may continue to ride around on its mother’s back for up to a year (well after the weaning stage). Giant anteaters require large areas for their survival. They are found in a wide variety of habitats from tropical moist and dry forest to savanna habitats and open grasslands. However, all habitat types need to contain forested patches. The range of the Giant Anteater once extended from Belize (where it now thought to be possibly extinct) to North West Argentina, but numbers have declined throughout most of its range resulting in scattered, isolated populations. 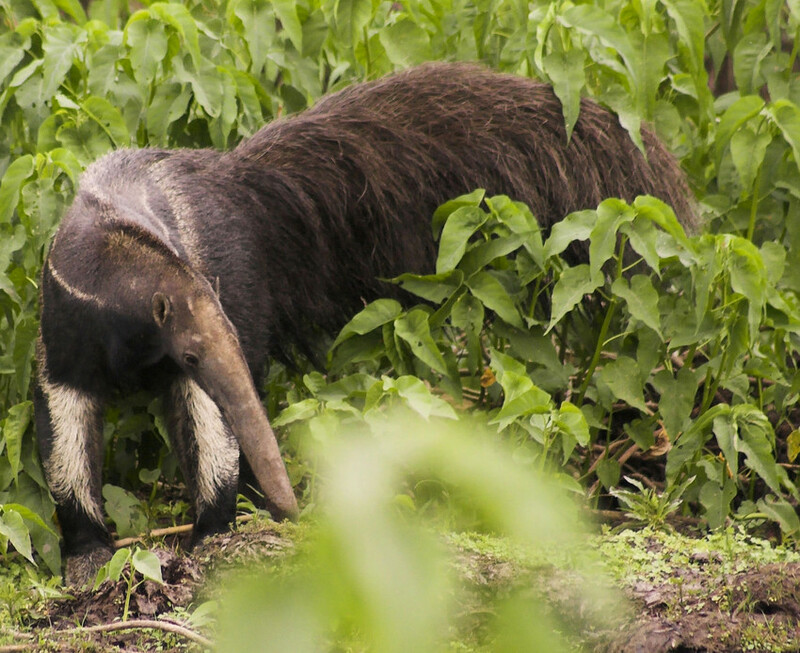 The main threats to the Giant Anteater is habitat loss by agricultural encroachment, especially in Central America. Fire is a particular problem for grassland populations. They are also hunted throughout their range both for food and as a pest species.